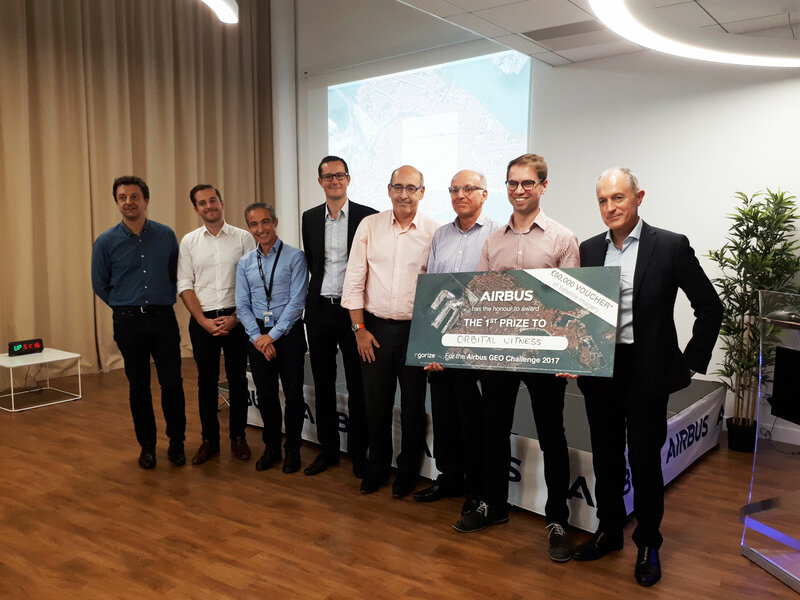 Airbus has named Orbital Witness the winner of its “Global Earth Observation Challenge”. It receives a voucher worth € 50,000 for the acquisition of satellite data and will benefit from both technical and business coaching. The competition encourages start-ups to innovate and develop new applications primarily based on Airbus’ satellite data. The winning British start-up Orbital Witness proposes to use satellite imagery to provide a new perspective for legal due diligence in real estate. Launched on 30 May, the goal of the 4-month challenge was to create added value for new businesses focusing on themes identified as important topics for the global population, ranging from forestry and agriculture to smart cities and maritime. More than 130 projects from five continents were entered for the competition, among which 23 start-ups were pre-selected based on their originality and relevance as well as their technical and commercial feasibility. These “semi-finalists” entered a subsequent round in order to further develop the proposals. This ended with a second selection phase in which the six finalists were chosen. The runner-up projects also received satellite data vouchers, with € 20,000 for 23insights, € 15, 000 for Ozius, € 10, 000 for Ursa, and € 5,000 for Qirate and Kermap.